Each year during the month of April, across the country, motivated individuals with a passion for sexual violence prevention take part in Sexual Assault Awareness Month, or SAAM. 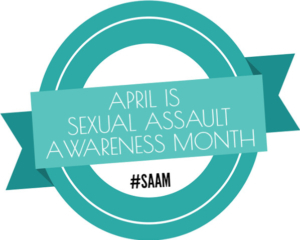 Through planned community events, and activities SAAM highlights sexual violence as the public health, human rights and social justice issue that it is. In addition to educating communities to the widespread issues of sexual violence it also generates opportunities to expand prevention efforts throughout the year. Oasis A Safe Haven provides services to assist individuals in moving forward from VICTIM to SURVIVOR to THRIVER. 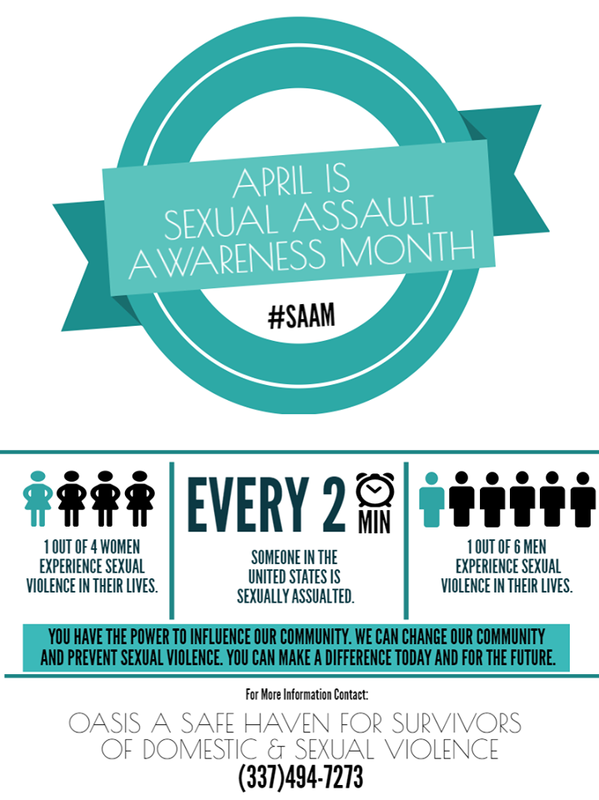 Prevention programs and trainings are available as well as volunteer opportunities to help eliminate sexual violence. Call Oasis at 337-494-7273 to find how you can help eliminate sexual violence in SWLA. 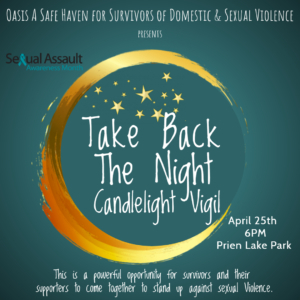 This is a powerful opportunity for survivors and their supporters to come together to stand up against sexual violence.